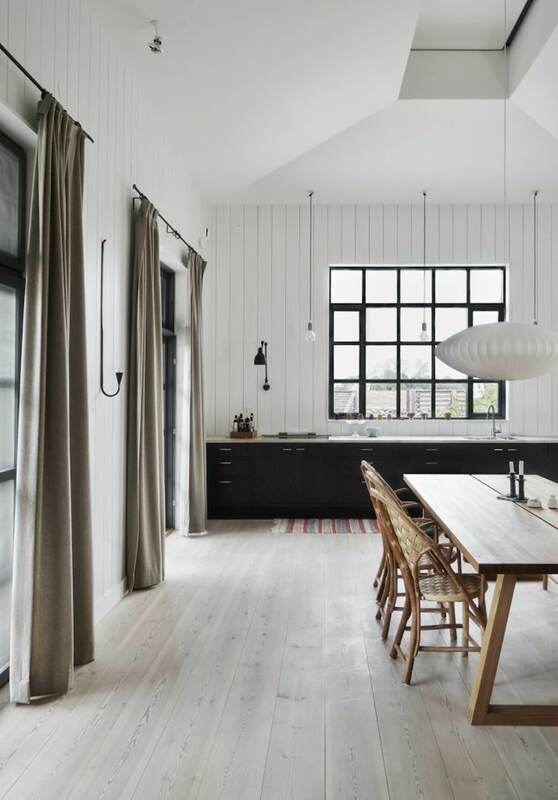 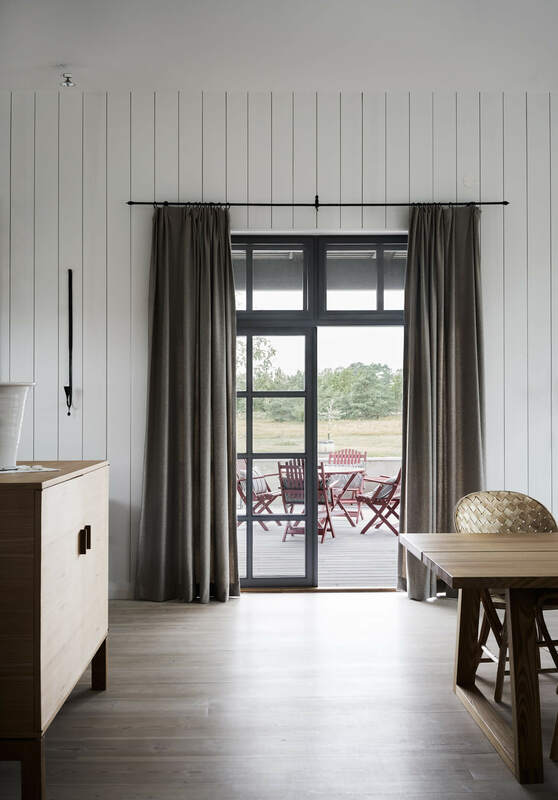 Scandinavian coastal homes have a distinctly different look to their warmer climate counterparts. 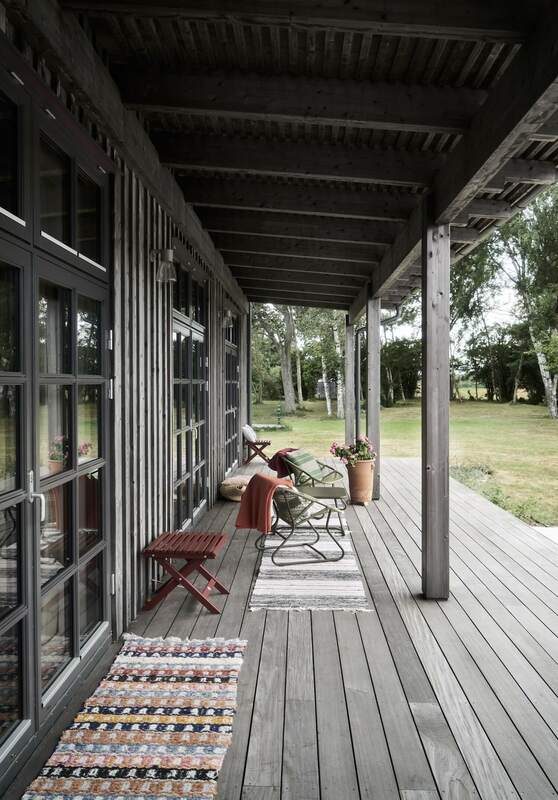 While the warm season certainly proves time to embrace the outdoors, homes located amongst the landscape tend to contain a sense of hardiness, richly enshrined in their wild and woolly surroundings. 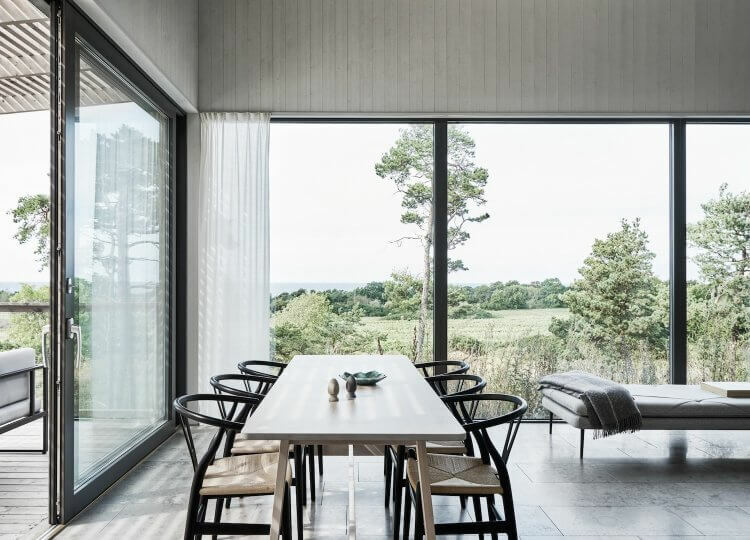 Located on the south part of Gotland Island in Sweden, Villa AK by local firm m.arkitektur is the perfect encapsulation of the Scandinavian knack for blending into the landscape. 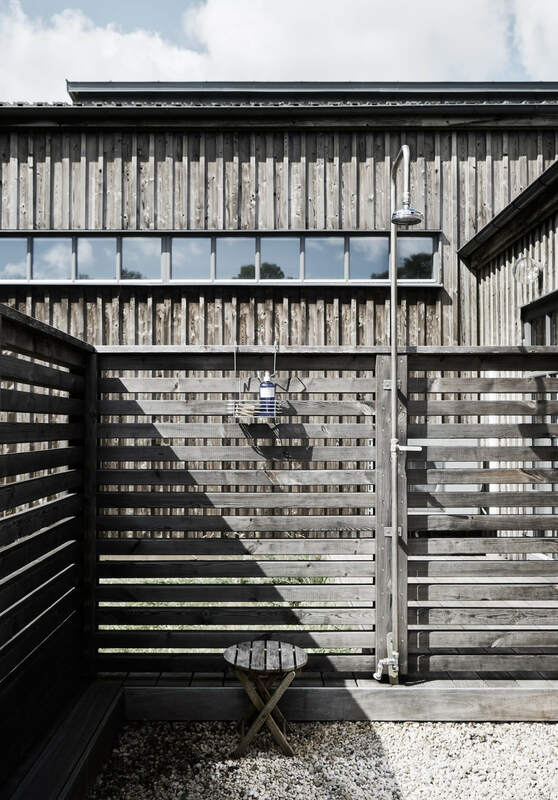 With its weather timber-clad exterior and compact geometric shape, it balances the need to complement the existing environment while providing shelter from it. 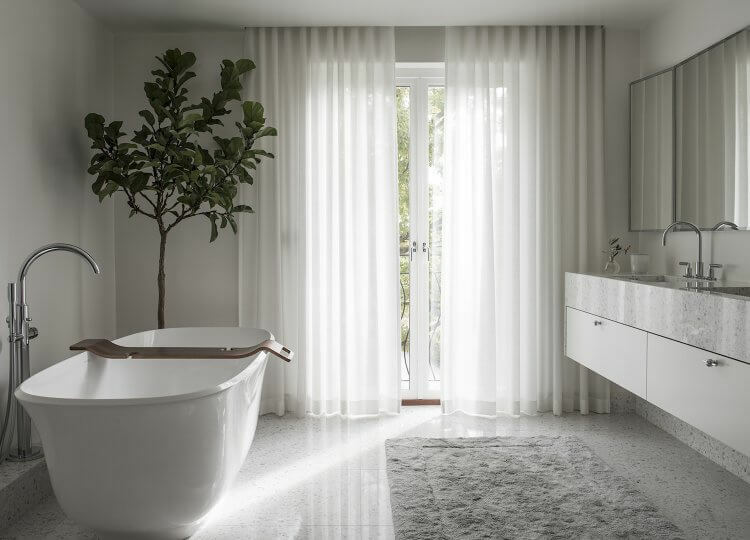 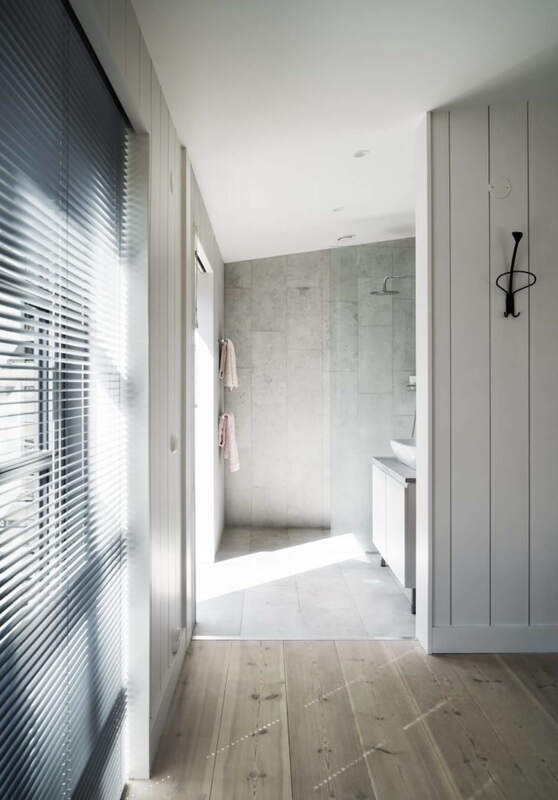 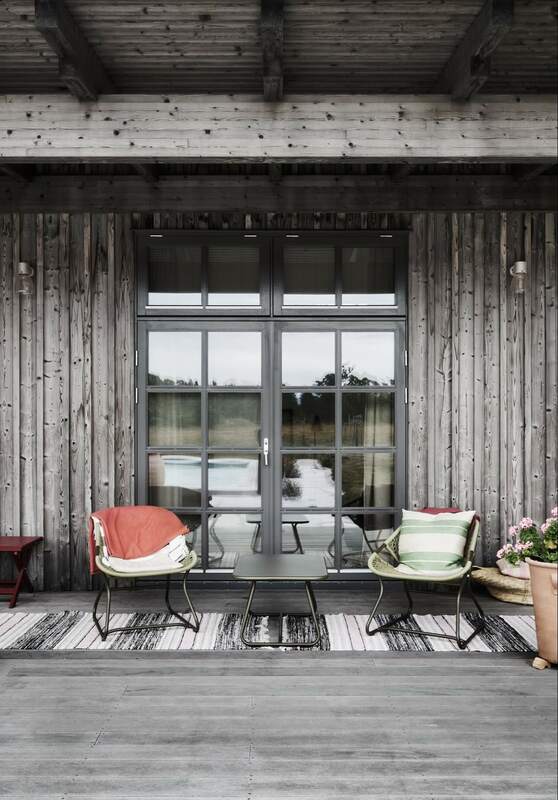 Educated first as a building engineer, architect Martina Eriksson of m.arkitektur has a pragmatic approach to design that shines through in this home. 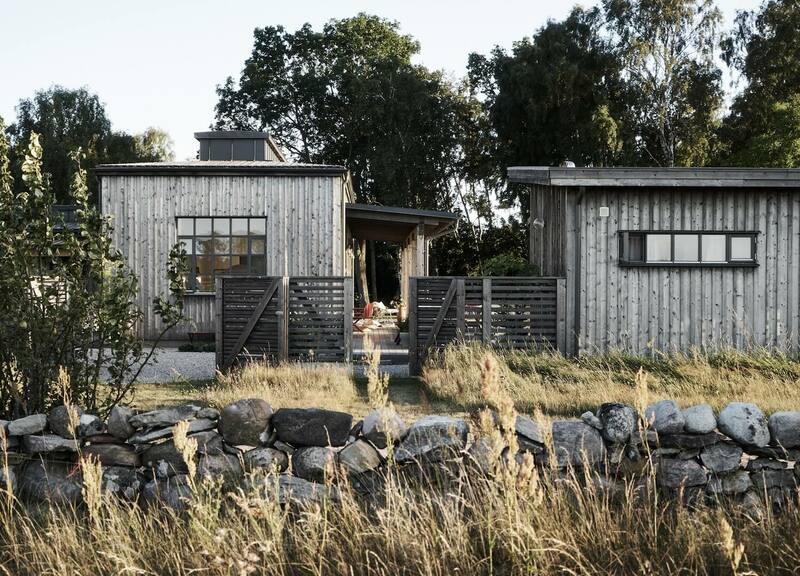 Faced with the challenge to get permission to build a new home in a heritage location, Martina referenced traditional building techniques to create a link between the land’s history and future. 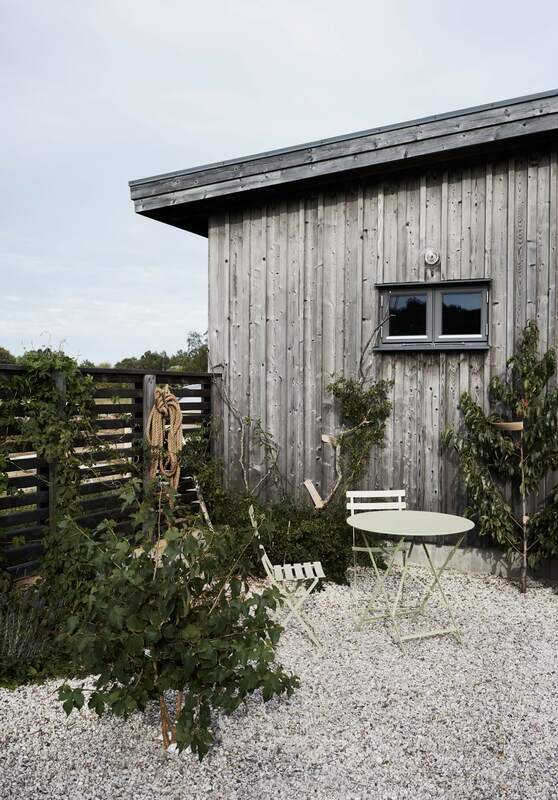 “We think culture is not static but must have continuity” Martina explains. 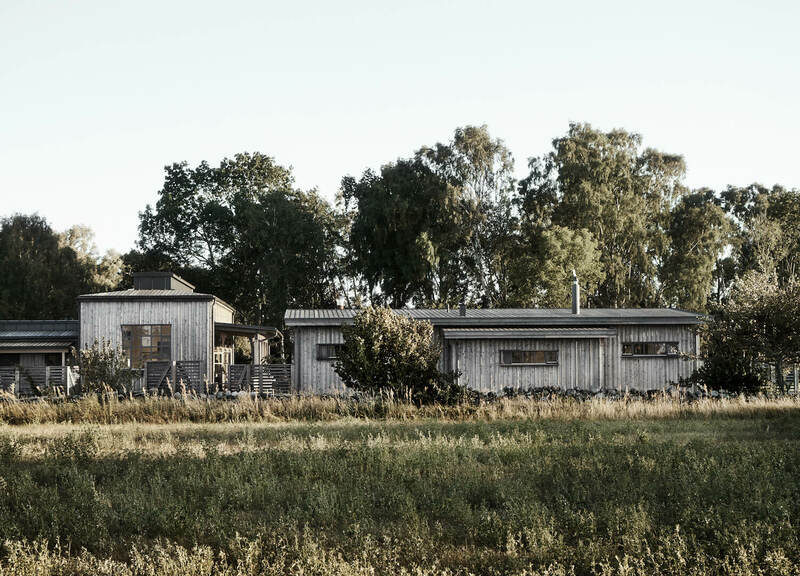 To minimise disruption to the natural environment, m.arkitektur and builder Niklas Tingström drew on natural materials and a simple shape. 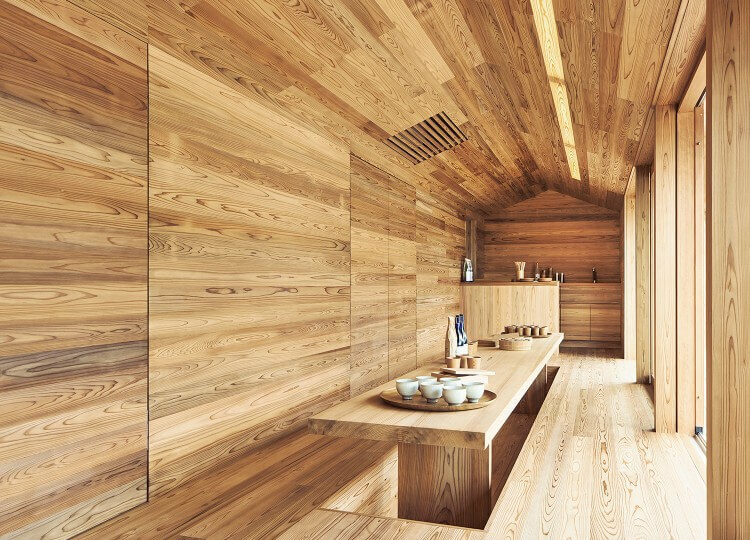 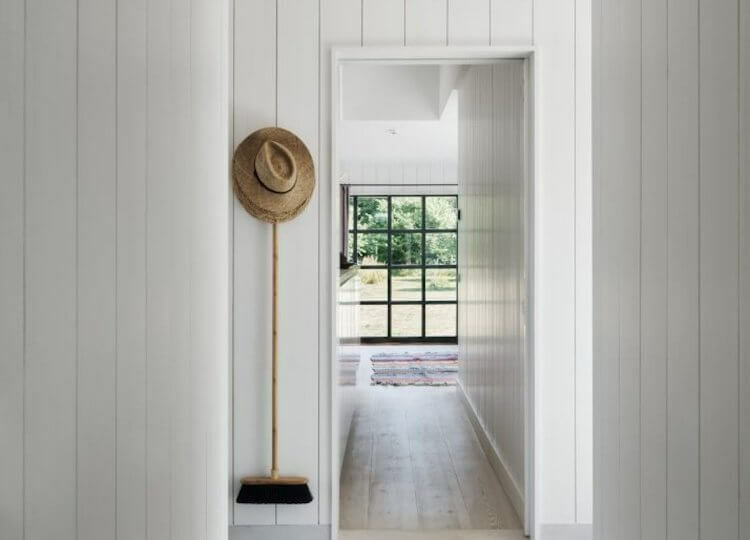 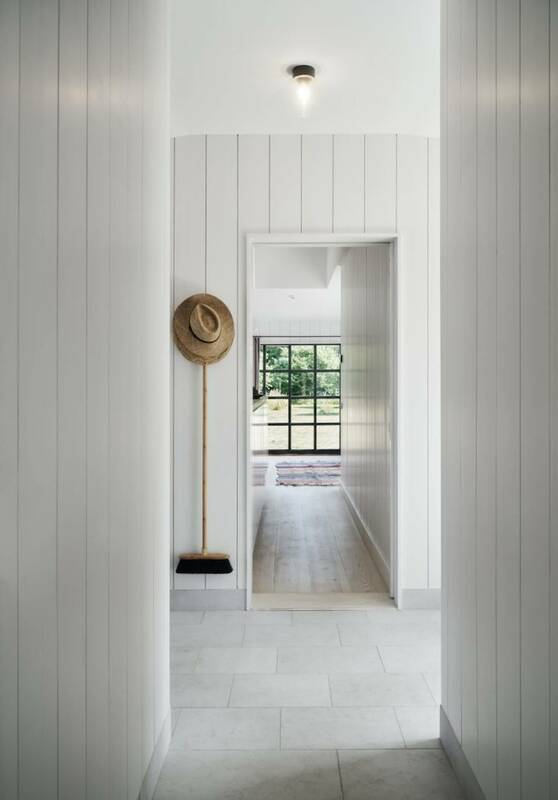 Timber is used in a myriad of ways; from the rough and weatherbeaten exterior cladding to traditional white-panelled interior walls and rich oak floorboards. 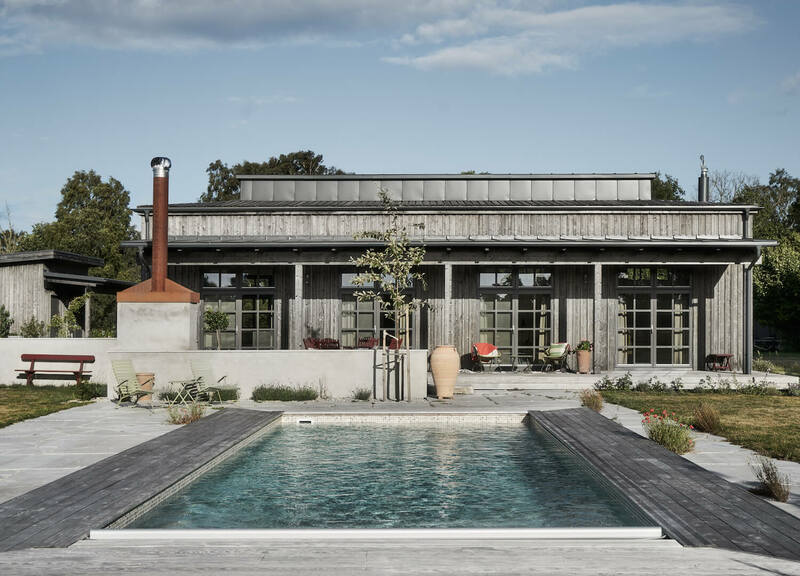 Making good use of its landscape surrounds, the home also features an extensive outdoor entertaining decking and area, including a pool and suitably rustic outdoor shower. 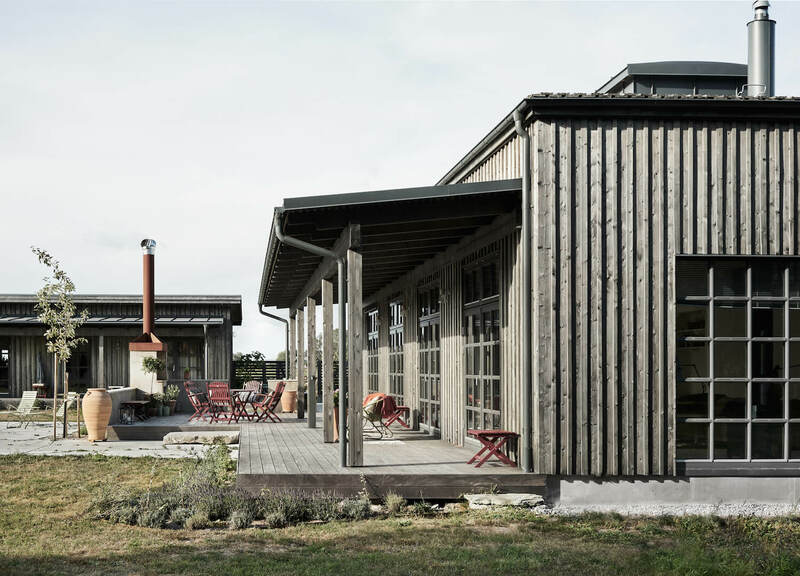 The subtle tones and materials of the exterior are continued in these areas, with the same smooth concrete and timber building consistency between the inside and out. 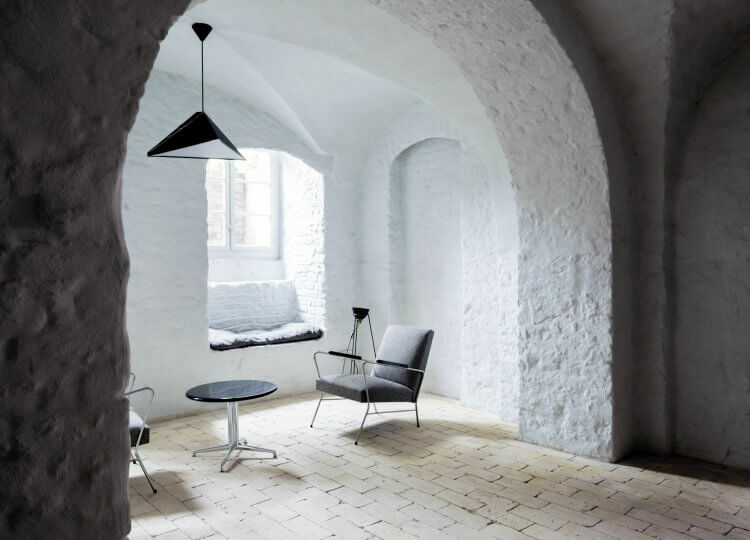 While it may be a new home, Villa AK doesn’t look it – in fact, it looks as if it could have existed there for decades, comfortably at home in its surrounds.